As you probably already know, DJ Ron Benjamin got good skills & taste for mixing electronic music. Recently, I can't stop thinking about another good Techno DJ than himself. A few days ago, he was featured on Raver Radio with a 3 hour set of 100% Techno music. Below you can find part I & II. Enjoy the music and dance! 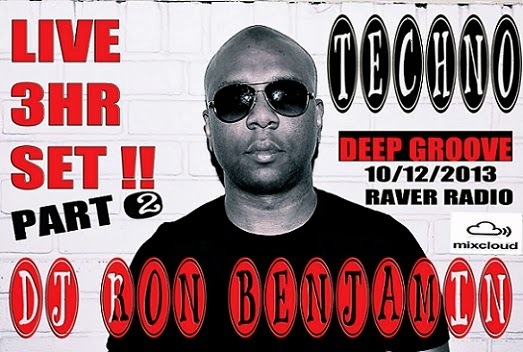 Please, don't forget to visit DJ Ron Benjamin's Mixcloud page to listen more cool Techno, Tech House and Minimal mixtapes. Follow him! DJ Romain - Are We Really Sure?